I started this project in May 2016 (link to post). 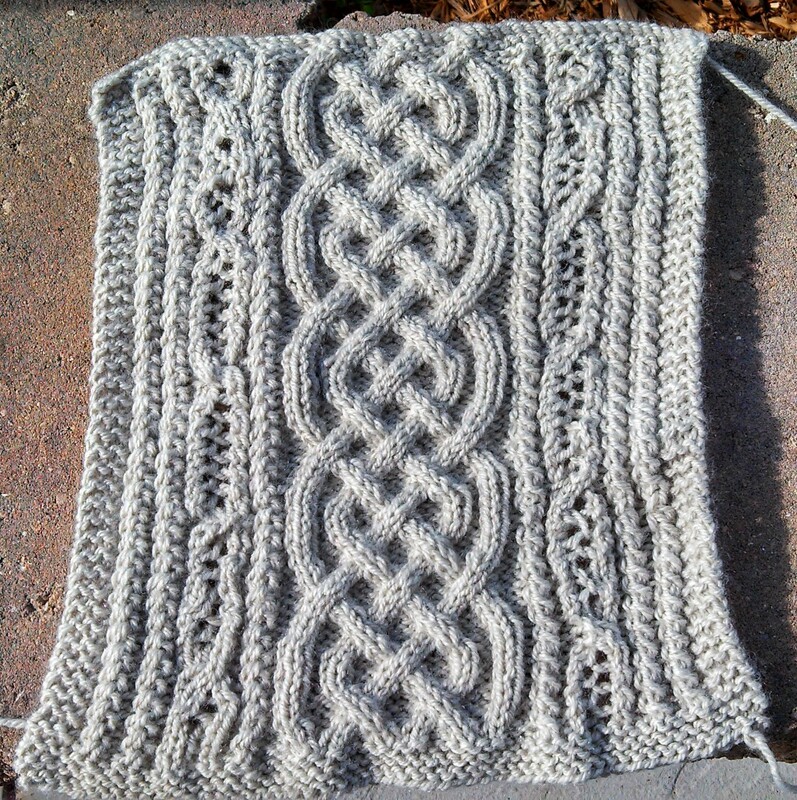 while I really enjoyed the pattern and yarn, the project frequently was interrupted by other projects and priorities. I think it languished for a year lacking only one sleeve. Finally, perhaps prompted by the arctic weather the past few weeks, I pulled out the project, finished the sleeve, and am in the process of blocking and assembling. The sweater is Cable Embrace, from Knit Picks. This is a terrific, slightly-fitted cardigan sweater. The chevron cables are a simple, but interesting, design element. I modified the sleeves to echo the chevron design since I was put off a bit by the reverse-straight stitch sleeves in the pattern. 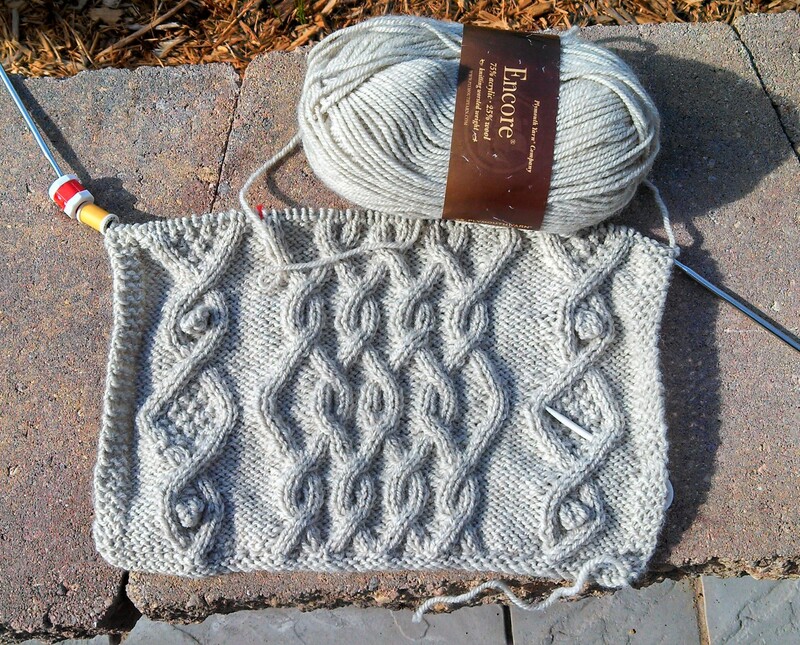 The yarn is also from Knit Picks – City Tweed DK in Brocade colorway. I have been happy with the products from Knit Picks – good quality and good variety. 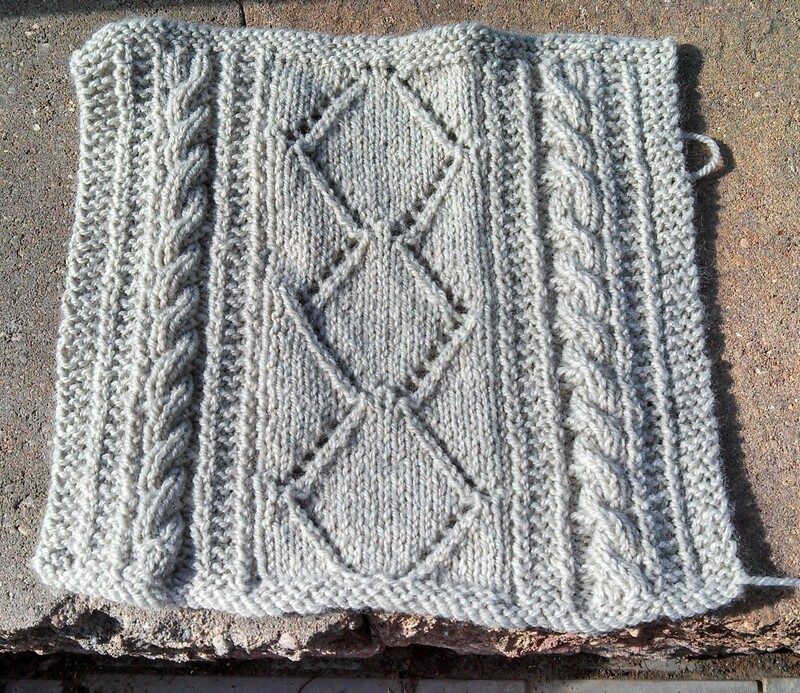 After blocking and assembly, the final phase is knitting the band around the neck and front and adding buttons. The end is in sight. This is a very enjoyable project. The squares are small, easy to hold, and quick to knit, but challenging. The patterns are varied, so I don’t get bored before they are done. Square 2. 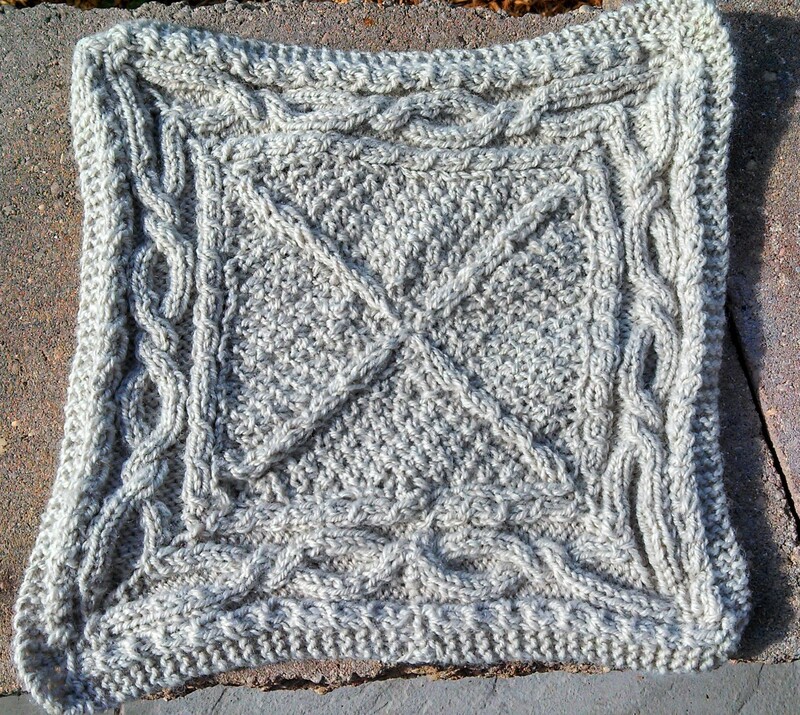 The border was knit first, then the center section picked up and knit in the round. Too small for a circular needle; too big around for DPNs. I finally tried two circular needles (two sides on each), and that worked fine. Ornery to knit. There are several of this style in the book. Square 3. This is where I finally figured out how to read the cable chart. Yes, it is logical, and I’m usually a logical thinker, but the charts never “clicked” with me until this one.